News site Bloomberg highlighted the topic after speaking to Amazon staff who "reviewed" Alexa recordings. Reviewers typically transcribed and annotated voice clips to help improve Amazon's speech recognition systems. 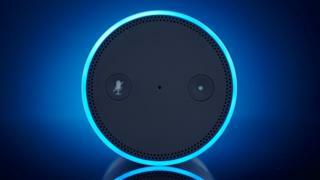 Amazon's voice recordings are associated with an account number, the customer's first name and the serial number of the Echo device used. They also described hearing distressing clips such as a potential sexual assault. However, they were told by colleagues that it was not Amazon's job to intervene. The terms and conditions for Amazon's Alexa service state that voice recordings are used to "answer your questions, fulfil your requests, and improve your experience and our services". Human reviewers are not explicitly mentioned. In a statement, Amazon said it took security and privacy seriously and only annotated "an extremely small sample of Alexa voice recordings". "This information helps us train our speech recognition and natural language understanding systems, so Alexa can better understand your requests, and ensure the service works well for everyone," it said in a statement. "We have strict technical and operational safeguards, and have a zero tolerance policy for the abuse of our system. Employees do not have direct access to information that can identify the person or account as part of this workflow." According to Apple's security policy, voice recordings lack personally identifiable information and are linked to a random ID number, which is reset every time Siri is switched off. It said clips were not associated with personally identifiable information and the company also distorted the audio to disguise the customer's voice. While smart speakers are technically always "hearing", they are typically not "listening" to your conversations. All the major home assistants record and analyse short snippets of audio internally, in order to detect a wake word such as "Alexa", "Ok Google" or "Hey Siri". But if the wake word is detected, the audio is kept and recording continues so that the customer's request can be sent to the voice recognition service. Amazon's Alexa privacy settings do not let you opt out of voice recording or human review, but you can stop your recordings being used to "help develop new features". You can also listen to and delete previous voice recordings. Google lets you listen to and delete voice recordings on the My Activity page. You can also switch off "web and app history tracking" and "voice and audio activity", which Google Assistant pesters you to switch on. Apple does not let you listen back to Siri recordings. Its privacy portal, which lets you download a copy of your personal data, says it cannot provide information "that is not personally identifiable or linked to your Apple ID".